What a difference a decade makes. 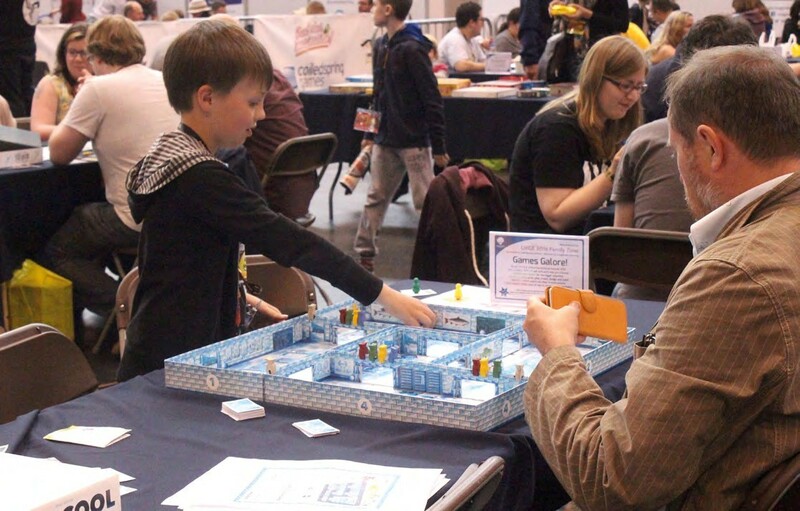 When the UK Games Expo first appeared ten years ago in 2007 (rather confusingly, this actually makes 2017’s event the 11th show), both the Birmingham-set event and the wider state of the tabletop industry looked very different to today. Pandemic was still a year away from changing the face of modern gaming, the word ‘crowdfunding’ had yet to enter the lexicon and board game cafes were just, well, cafes. The inaugural UK Games Expo attracted around 1,200 visitors – an impressive number for a first-time event, but nothing compared to the more than 25,000 seen last year, which itself was close to double the number seen in 2015. In fact, 2016’s stats made UK Games Expo the fourth biggest games show in the world, behind only Essen, Gen Con and Origins – all of which have all been going for multiple decades. Outside of the hard numbers, the show has been host to British pop culture celebrities and tabletop legends from former Doctor Who Colin Baker and Red Dwarf star Chris Barrie to RPG icon Monte Cook and Games Workshop founders Steve Jackson and Ian Livingstone. With all this in mind, it could still be that this year’s UK Games Expo turns out to be the biggest and best. Taking place in both the NEC and nearby Hilton hotel – which combined are nearly 30 times bigger than the 2007 show’s venue – the show will see the launch of Fantasy Flight’s new European championships and a round of the Pokémon Trading Card Game regional championships. There are plenty of other things to do and see, including the only UK date for the live classical music concert inspired by RPG Shadows of Esteren and acclaimed improvised comedy performance The MMORPG Show. Of course, as official print media partner for the show (we were actually born at 2015’s event! 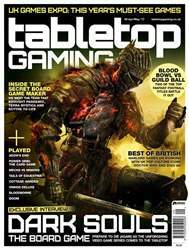 ), Tabletop Gaming will be there in force and we’ll round up the best of the show in August’s issue. 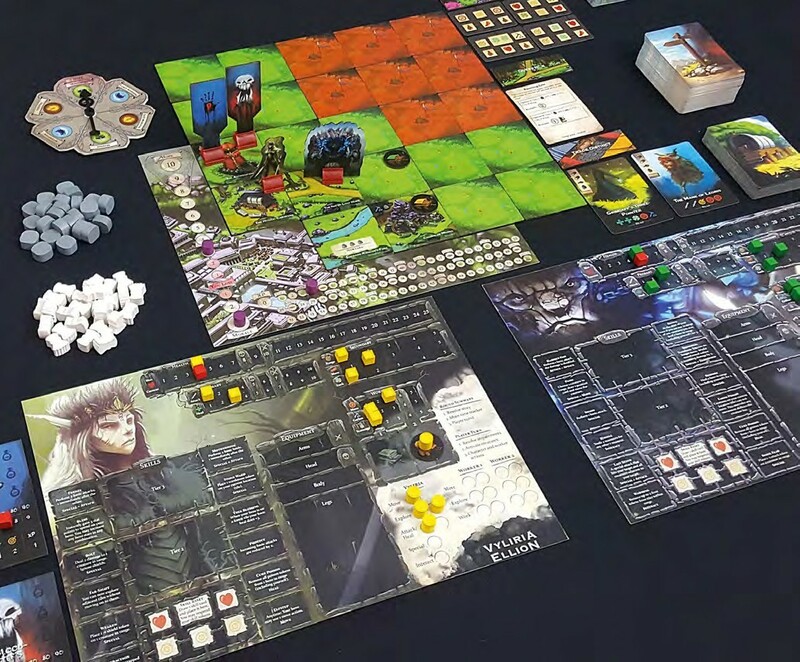 For now, turn the page and take a look at some of the titles appearing at UK Games Expo that you shouldn’t miss. The title is narrative-driven, telling a story for up to four players across seven campaigns that all tie together to form a cohesive world. There are some procedurally generated elements, such as a randomised map and creatures created from a set of rules, meaning that every monster is unique (West claims that more than a staggering 10 million different combinations can be formed) and requires a different approach to defeat.